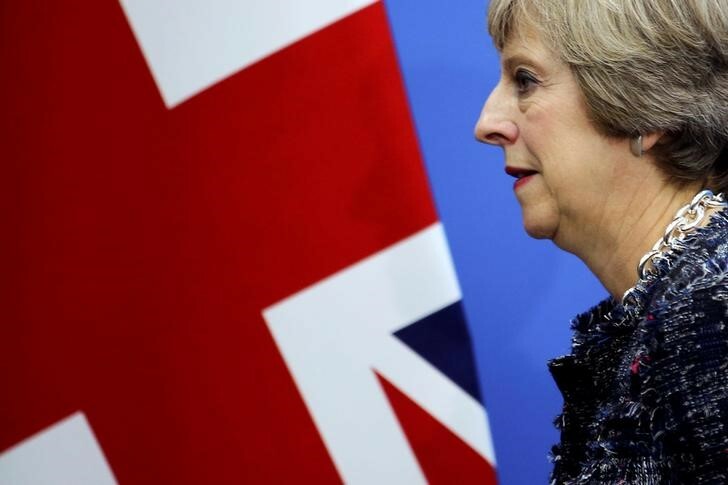 LONDON (Reuters) - British Prime Minister Theresa May has warned lawmakers that failure to back her plan to leave the European Union would be catastrophic for Britain, in a plea for support two days ahead of a vote in parliament that she is expected to lose. On Friday, her foreign minister Jeremy Hunt said Brexit might not happen at all if May’s deal was defeated. Britain, the world’s fifth largest economy, is scheduled to quit the European Union on March 29. Whatever they decide I expect the market to go quite crazy after the vote. I was watching the voting live. This whole thing is a circus. I am guessing there'll be a vote of no confidence for May next? Yep, there will be a no confidence vote soon, just as I thought. (Bloomberg) -- U.K. Prime Minister Theresa May is likely to survive a no-confidence vote this evening though it could be “quite a narrow victory,” according to Jane Foley, head of currency strategy at Rabobank. After suffering a historic defeat in the U.K. Parliament on her Brexit deal, May this evening faces a vote of confidence in her government. May said she will begin cross-party discussions this week to try to reach a consensus, but opposition leader Jeremy Corbyn dismissed the offer and called for the no-confidence vote. “It could still be quite a narrow victory for May, but it seems quite likely that conservative MPs will back her, along with the DUP, in order to avoid risking a general election,” Foley said in an interview with Bloomberg Television, referring to Northern Ireland’s Democratic Unionist Party. “If she had resigned and there would be a leadership election in the Tory party, it’s possible that we might get maybe Gove, or maybe Johnson, and they perhaps would be more likely to push us through to a hard Brexit than May,” Foley said. She said companies need to be preparing for Britain leaving the European Union on March 29 without an agreement. “The facts as they stand right now are that the U.K. is on course for a hard Brexit in March,” Foley said. “And that is something that if you run a business you are going to have to plan for. That is a significant worry. And that is likely to be a drag on real investment,” she said. EU governments are bracing for the chaos that is expected if Britain crashes out of the bloc without a divorce deal. The European Commission has issued contingency plans, with 14 “essential and urgent” policies for EU member states to adopt, ranging from air traffic to derivatives clearing to data sharing.